Join us! We’re soliciting volunteers to help us with an awesome oral history project! Ashtabula County Water Watch has some incredible members and acquaintances who have been fighting the good fight for a long time. Help us interview activists from the anti-nuke era of the 1970s all the way up through the activists fighting injection wells today. 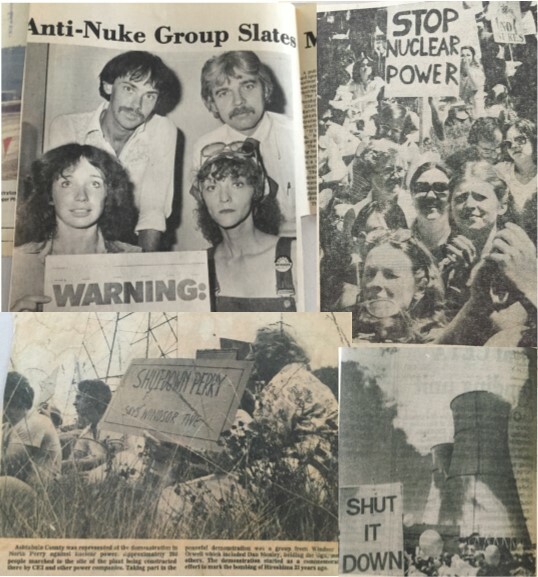 Hear about long term campaigns to stop Perry Nuclear Power Plant from being built, marches on Washington, the Sunflower Alliance, and actions that shut down the Ashtabula Harbor! When activists organize in our community, they never just do it for the environment – they do it for the people! Many environmental campaigns tied into welfare rights and the labors of love that brought Head Start to our county. The individuals who fought for the poor also fought for clean water. These inspirational people who lived these amazing stories are RIGHT HERE in our own town! We need to capture their flame and help pass it on! We need volunteers of all abilities and interests in this project – interviewers, filmmakers, people with recording equipment, journalists, editors of recorded media, and more I’m sure! Help connect the past to the present! Be the conduit for these powerful stories!